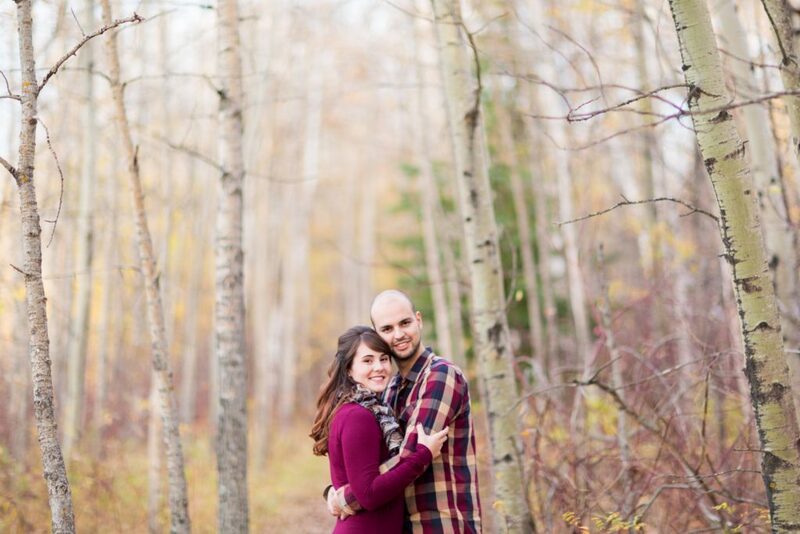 Edmonton autumn engagement photos are absolutely magical. 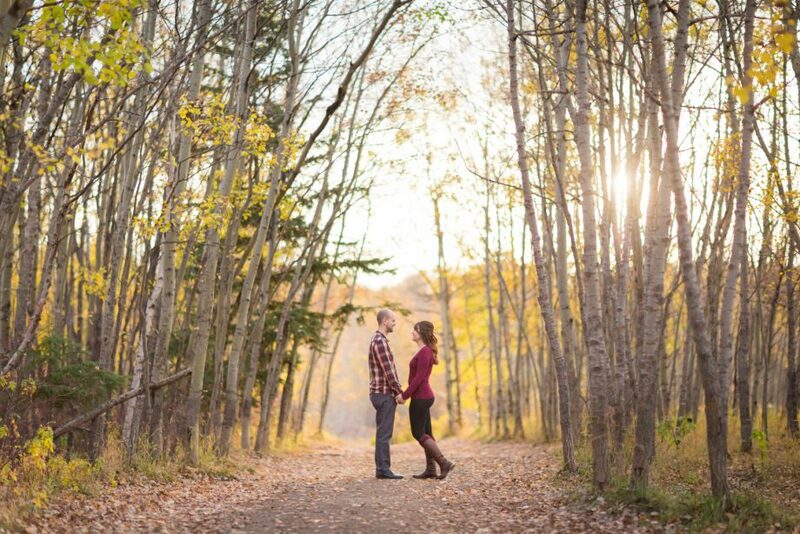 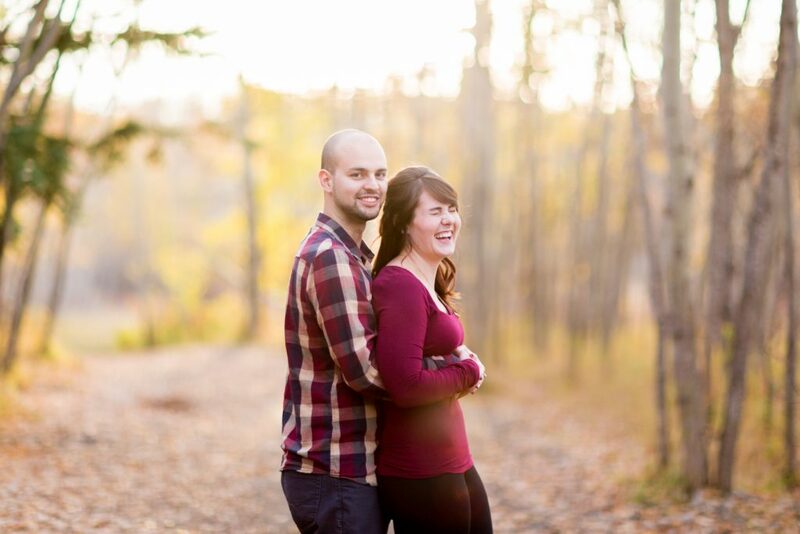 Angela and Chris chose the most beautiful evening for their romantic engagement session in the Edmonton river valley. 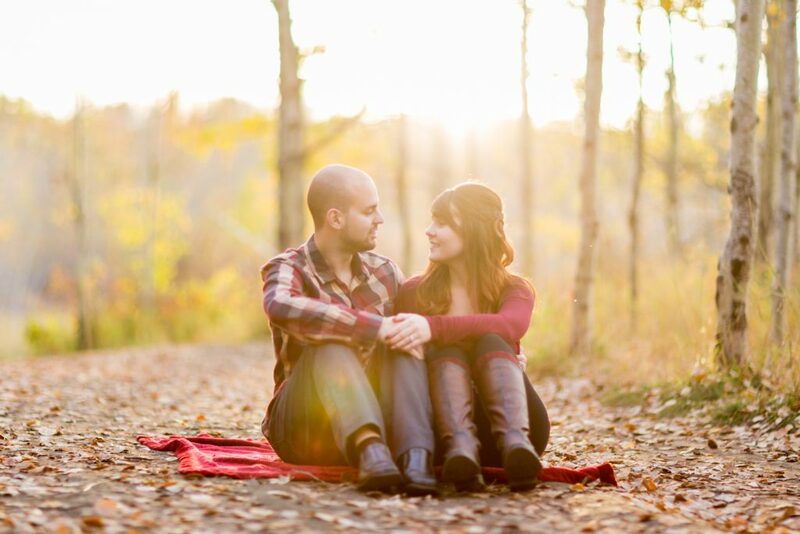 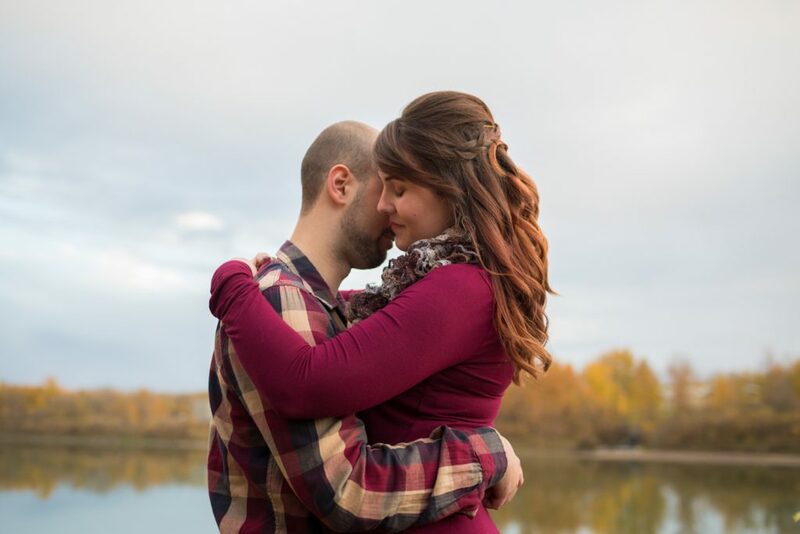 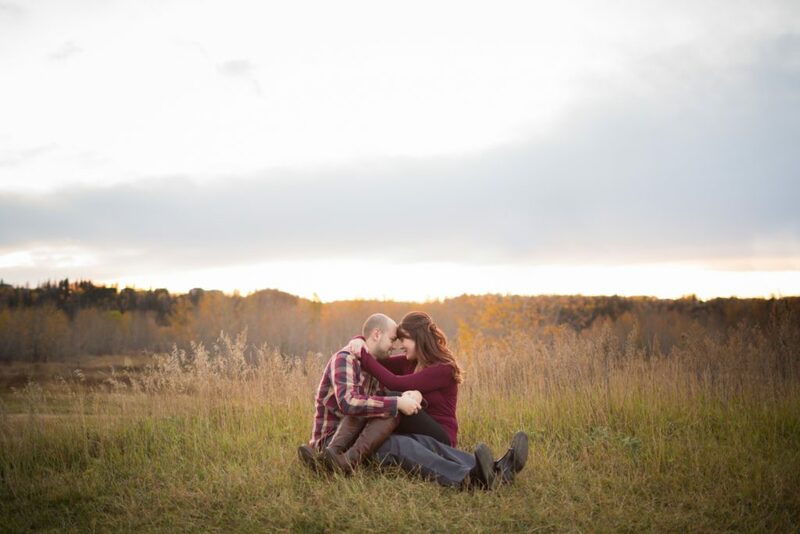 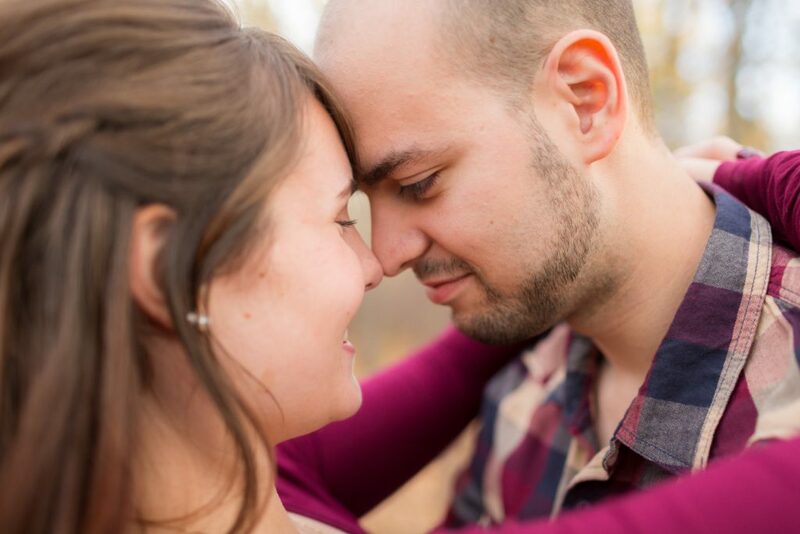 It was a warm autumn evening when we met Angela and Chris at Terwilliger Park for their engagement session. 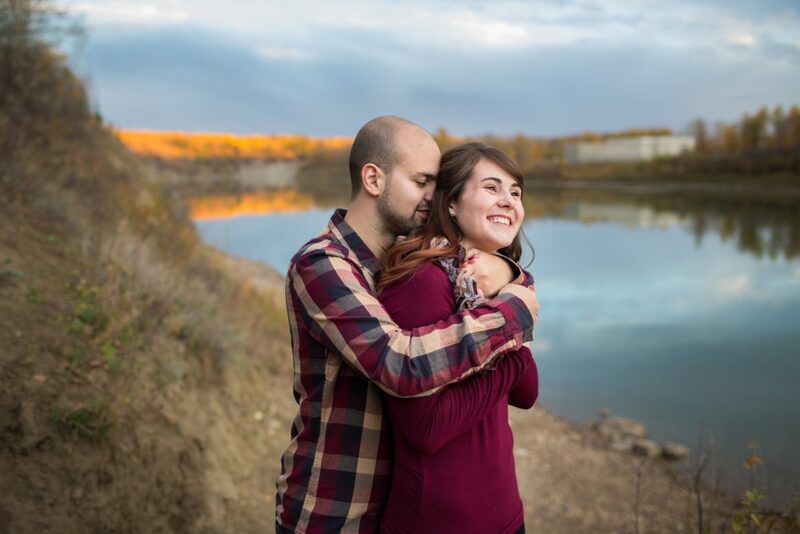 The sun was just about to set over the river valley as these two lovebirds took a stroll through this gorgeous park. 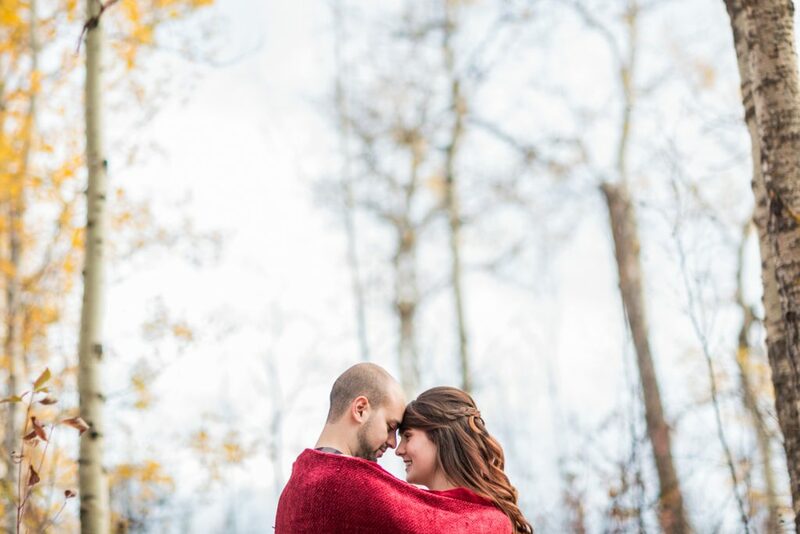 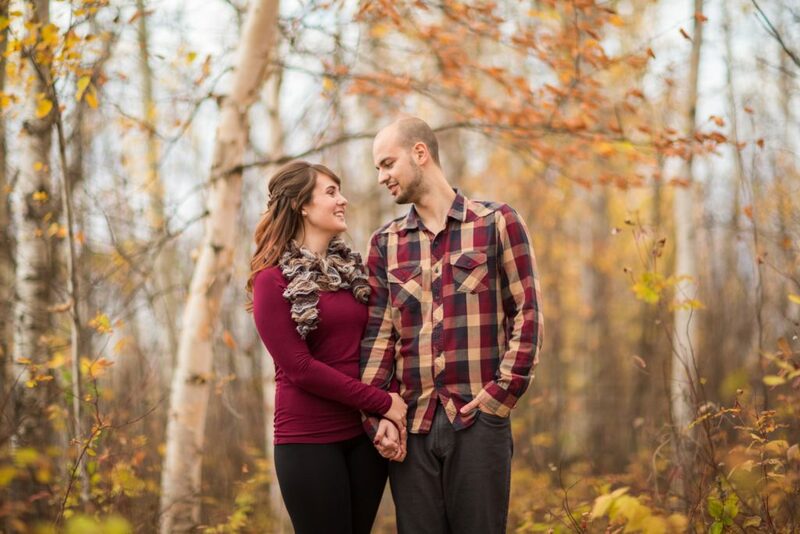 The warm burgundy and navy of Chris and Angela’s sweaters were the perfect colours for this cozy engagement session. 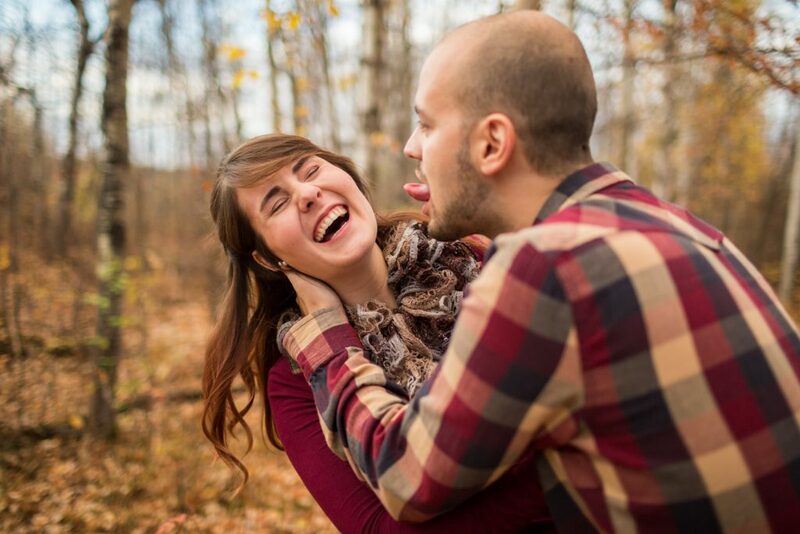 Couples often ask us what they should wear for their engagement photos. 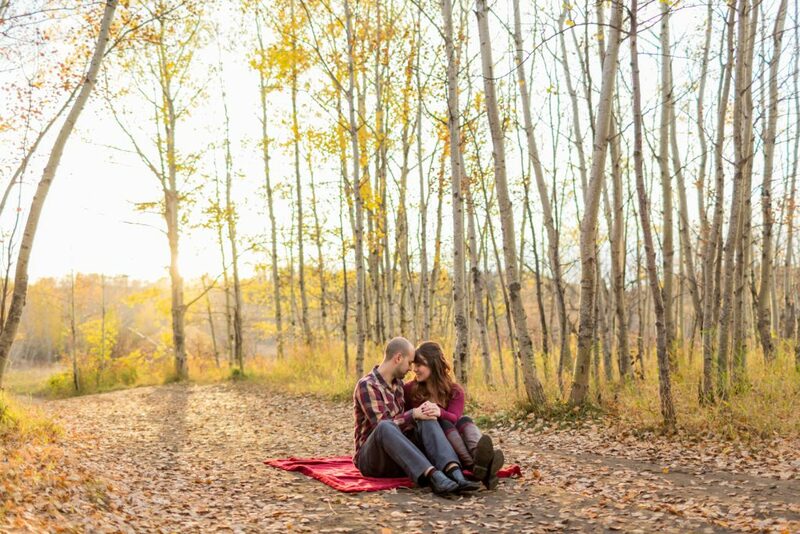 Our best advice to choose colours that complement the colour and tone of the scenery, but that will insure that you will stand out from the background. 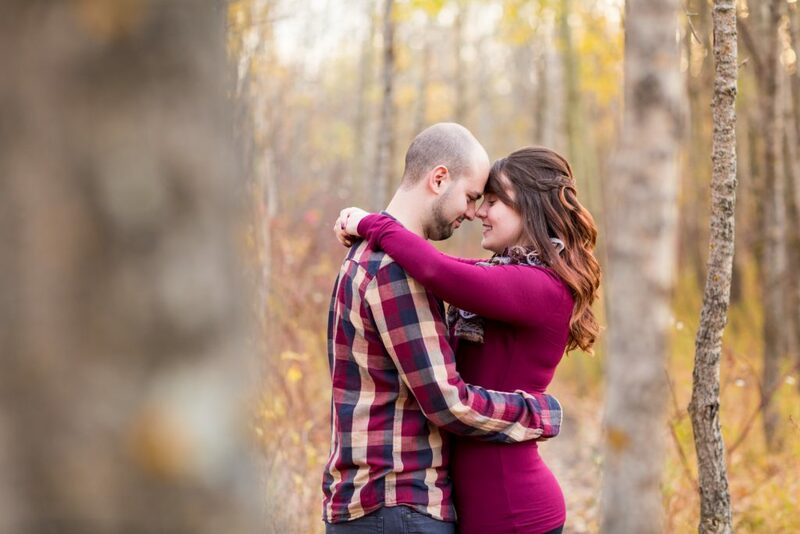 The leaves were just starting to turn from green to gold, so the burgundy looked stunning. 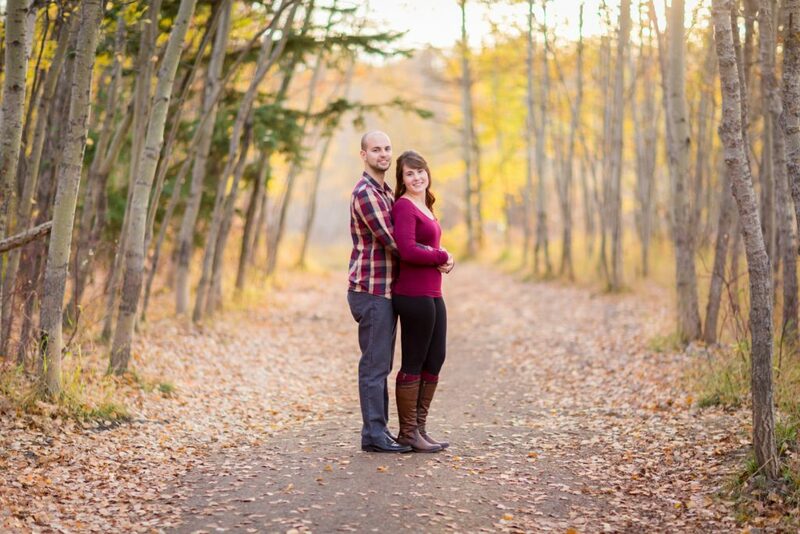 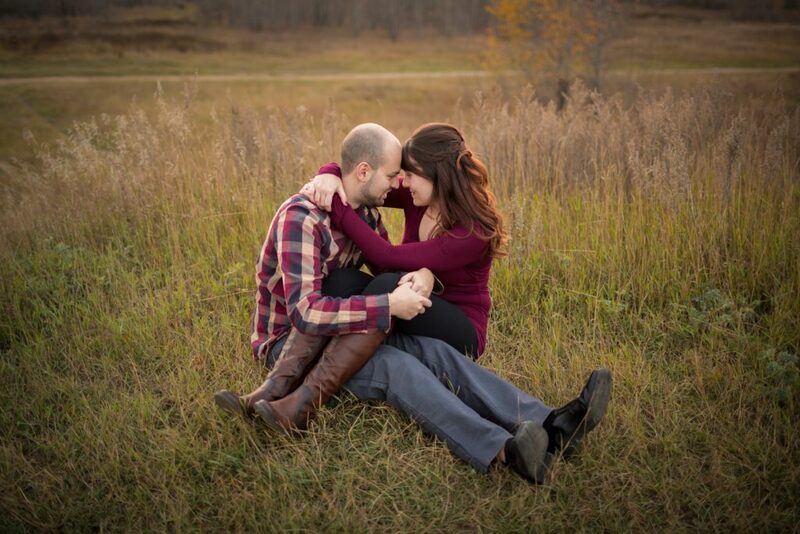 Chris and Angela were such a pleasure to work with and we are very excited for their upcoming wedding this summer!